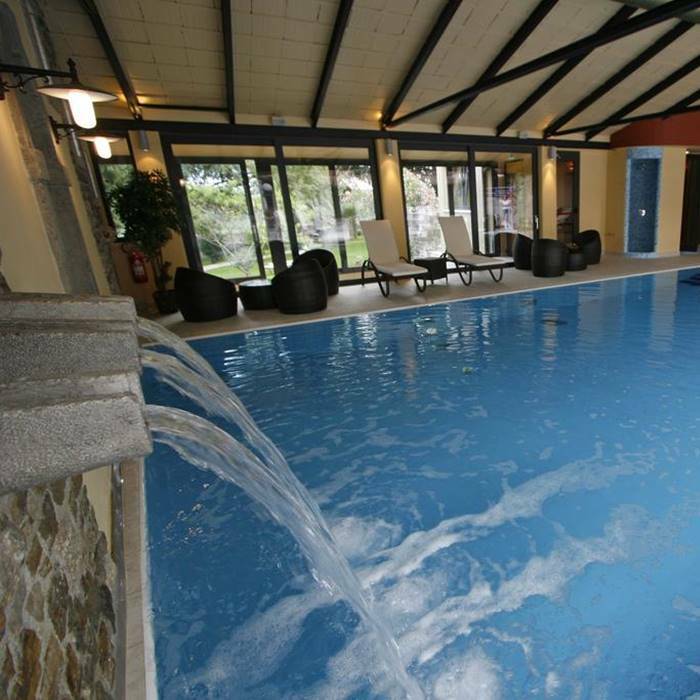 Book your holiday to Croatia at the Hotel Kastel. 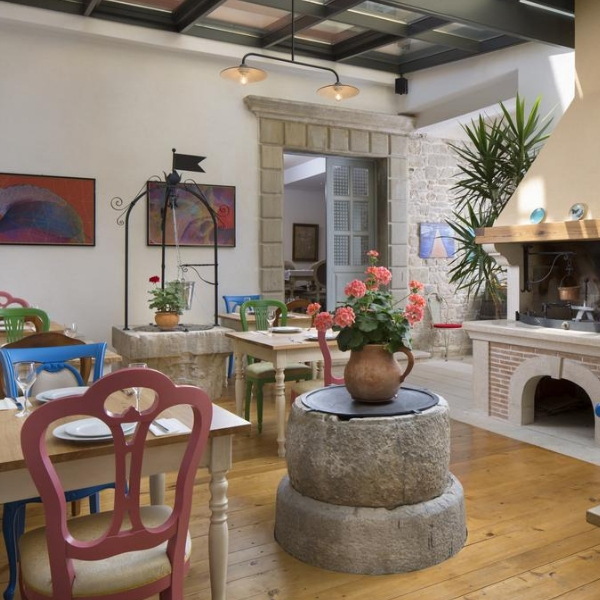 This charming boutique property is located inside a 17th century palace and is situated in the historical town of Motovun The family run hotel offers flexible, luxurious accommodation in stunning palatial grounds. 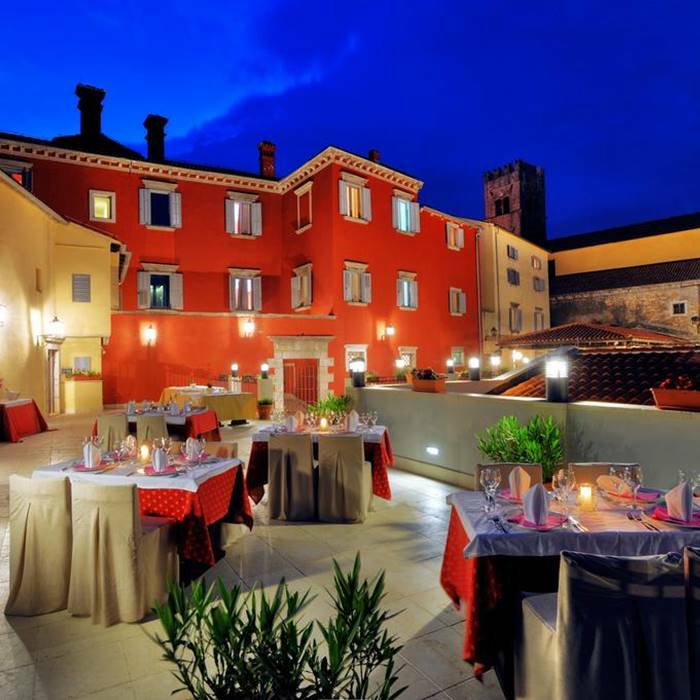 The Hotel Kastel offers superior accommodation conveniently situated in the heart of the historical medieval town of Motovun. Run by the ever welcoming Erik family, the hotel’s prime location within the walled fortress enables guests to explore and appreciate the renaissance splendour of the town palace and lodge, the parish church of St. Stjepan and bell tower. 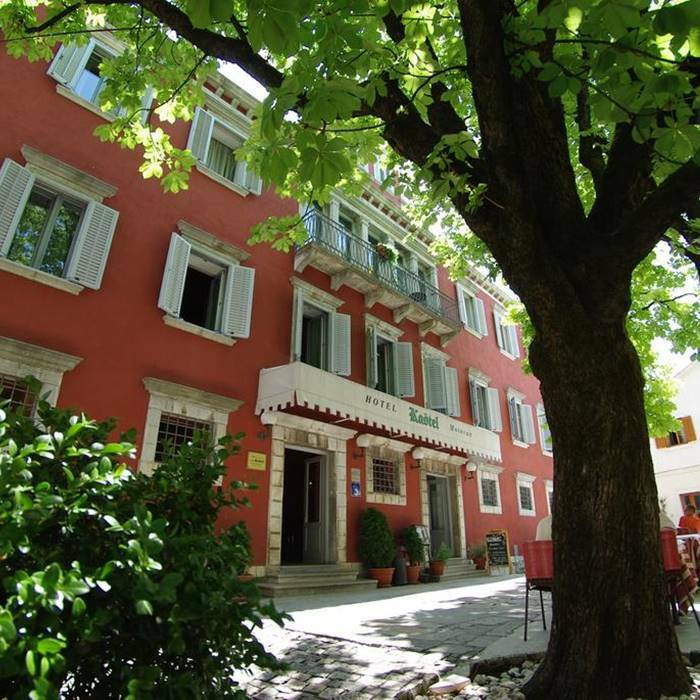 The hotel’s stunning self-catering apartment in located on the main city square, next door to the Hotel Kastel and surrounded by historical fortress walls. The apartment offers spacious and luxurious accommodation that includes a fully equipped kitchen, a dining area, sitting area with TV and private bathroom. The apartment has a king size bed and two extra beds. The Motovun forests and the Mirna River, along with famous vineyards, are considered to be prime local attractions not to be missed. When not exploring the stunning architecture of the local streets you can always enjoy the plentiful relaxation amenities available on-site. A wide array of activities can be found nearby the hotel including paragliding, free climbing, golf, asparagus picking, truffle picking, mountain biking and much more.